Geocomposites are formed by bonding two or more geosynthetics to achieve specific physical properties such as added protection, drainage, or filtration. Not sure if a geocomposite will meet your specifications? Looking for a unique product to solve your drainage problem? Call us at 609-971-8810 so we can help you select the right materials for your project. Drainage composite is produced by flame laminating a nonwoven geotextile on one or both sides of an HDPE biaxial geonet. The biaxial design of the geonet provides for high flow characteristics in both machine and cross direction. 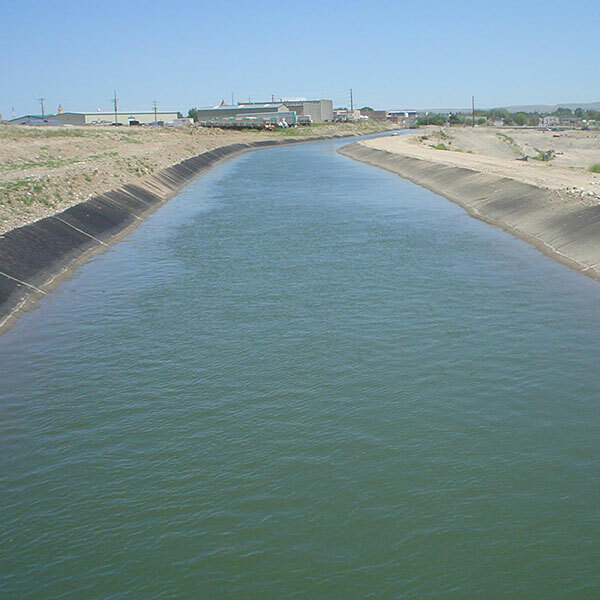 In addition, it acts as a flow channel for fluids while the geotextile filters and separates to keep soil particles and waste out. Therefore, the critical design element for geocomposites is transmissivity or flow rate. 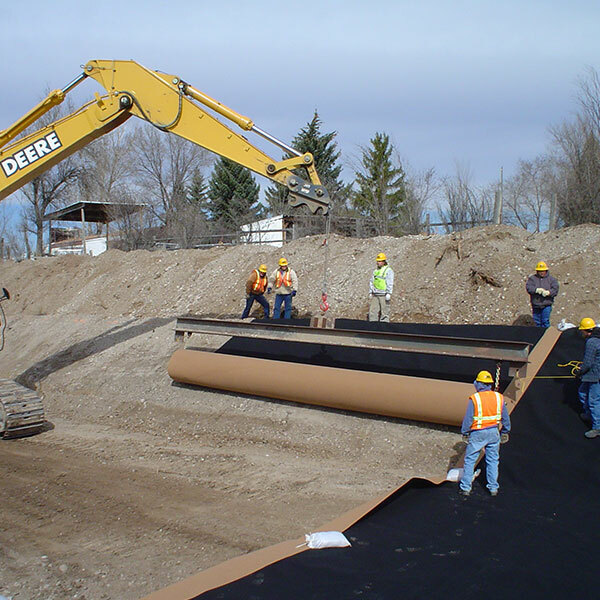 Manufactured by using bonded nonwoven geotextile on one or both sides of an impervious geomembrane, they function together to create a barrier and cushion system. In reinforcement applications they provide tensile strength as well as increased resistance to puncture, tear, and friction related to sliding. 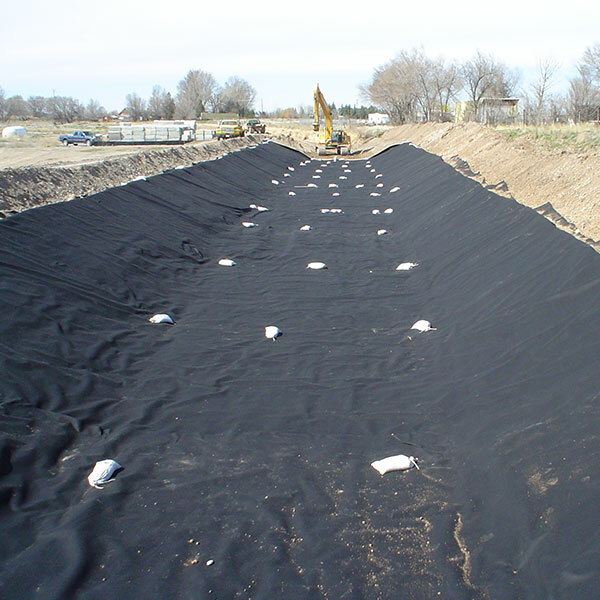 Heavy weight nonwoven geotextiles act as a drainage media since in plane transmissivity feature can conduct water or leachate away from direct contact with geomembrane. Call us at 609-971-8810 for more information on the Huesker Canal³® Composite. Manufactured using one or more layers of high strength woven in addition to a nonwoven geotextile. Results in extreme tensile strength as well as puncture resistance. Sheet drains are prefabricated geocomposite products that consist of a solid, formed, three-dimensional core covered with a geotextile filter fabric bonded on one or both sides. The filter fabric prevents soil intrusion into the core flow channel while allowing water to freely enter the drainage core. Sheet drains collect and transport significantly more water than aggregate systems. Their construction of recycled materials provides a sustainable, cost-effective drainage alternative. Sheet drains are constructed to various strength, flow and soil filtration requirements for a wide range of construction applications. Typical applications include green roofs, parking decks, bridge abutments, commercial foundation walls and retaining walls. Strip drains are prefabricated geocomposite drains that consist of a high-profile, perforated, three-dimensional core that is fully wrapped with a filter fabric. Strip drains function as a direct replacement for perforated pipe and stone drainage systems. The high water collection and flow capacity allow strip drains to function alone or as the transportation system for sheet drains. Strip drains are a sustainable, cost-effective, performance driven alternative to pipe and aggregate drainage systems. Typical applications are basement footers, lawns and yards, golf courses, athletic fields, and edge and curb drains.